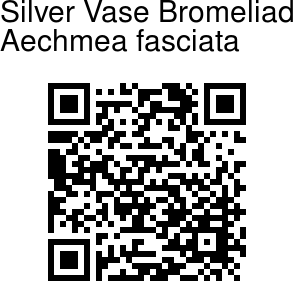 Silver vase is an epiphytic Bromeliad from Brazil. 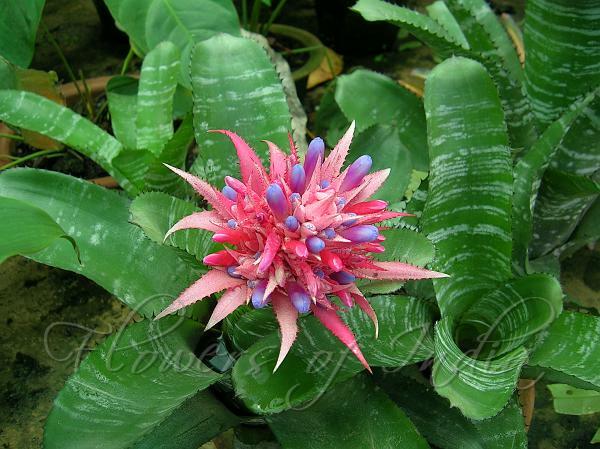 Aechmeas are among the most beautiful of all Bromeliads for indoor decoration. Large, colorful blooms rise high above the vase-shaped rosette of leaves. These plants are definite eye catchers. The original plant is light to medium green with silvery bands - a variegated form with white to cream stripes running down the leaf is also available. The pink, spikey inflorescence lasts for months; individual blooms are purple and last only a day. After flowering, Bromeliads produce side shoots (offsets), which may be removed while young and rooted for additional plants.